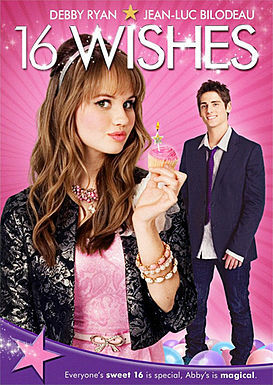 "16 Wishes" is the tale of 16-year-old Abagail, who wants to grow up too fast. A woman named Celeste appears one day to teach her about appreciating being a girl, by magically granting Abagail, you guessed it, 16 wishes. At first the wishes for superficial things such as clothes and a red sports car make her happy. However, one of the wishes on the list takes things in a grown up direction, which is something Abigail is not ready for in the least. The young actors in this movie were all good at their jobs, but the film’s trite theme of magic was unimaginative and weakened the message of appreciating what you have in life.